So it’s September already! This year is going so fast I can’t even keep up. However now August is over thought I’d share the things I’ve been loving throughout the month. August has been pretty amazing I got up to quite a few fun things but I think my highlight has to be Leeds Festival I had the best time seeing great bands and stomping around in my wellies (There’s a post all about it here on the blog if you want to check it out) but let’s get in to the things I’ve been loving this past month. 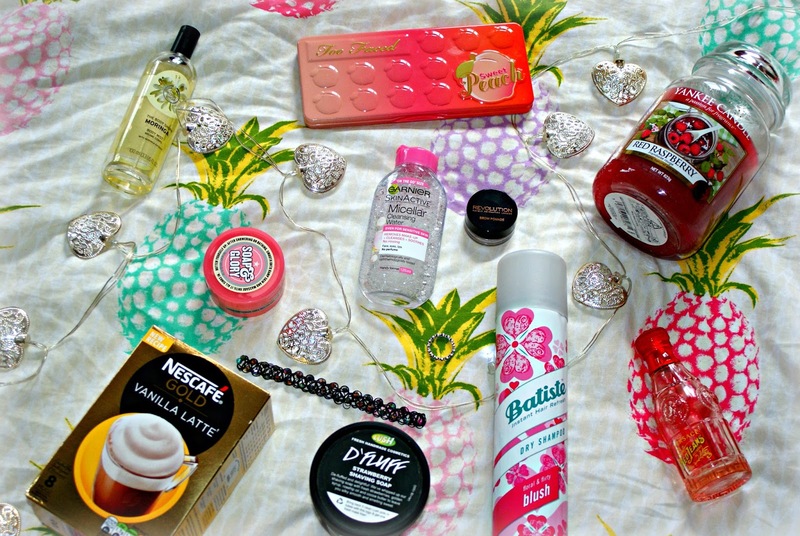 First up are some beauty bits which have been my go too’s throughout the month. 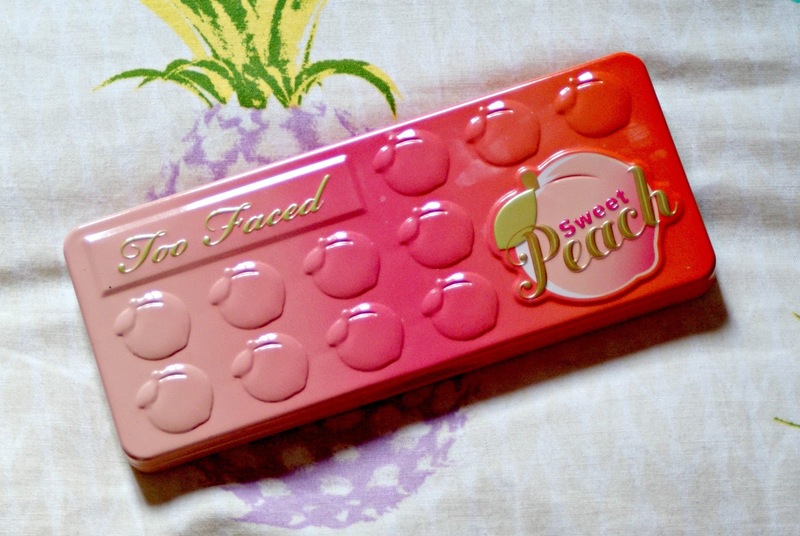 I have loved Two Faced’s Sweet Peach Palette ever since I got my hands on it and it is just the perfect palette for summer so has been a staple in my makeup routine for pretty much every eye look all August I have done a post reviewing this palette in more detail if you would like to head over to the home page and check that out. My next beauty fave is the Makeup Revolution Brow Pomade now I actually only picked this little guy up at the start of the month after hearing tons of good stuff about it, It has been said to be a dupe for the Anastasia Beverly Hills’ Dip Brow Pomade I can’t unfortunately give my opinion on this as I have never tried the Anastasia one. 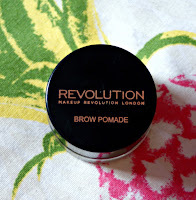 However what I will say is this stuff is amazing and has completely changed my opinion of cream/pomade type eyebrow products I have tried them in the past and found them hard to apply and not very long lasting but this one is great it is so easy to apply and lasts all day. The colour is also so perfect for me which I think is amazing as most blonde eyebrow products are very orange toned which I don’t like very much but this one is more cool/ashy toned which is just perfect for me. There are a couple of fashion items I have been loving this month and these are this ring and choker necklace. 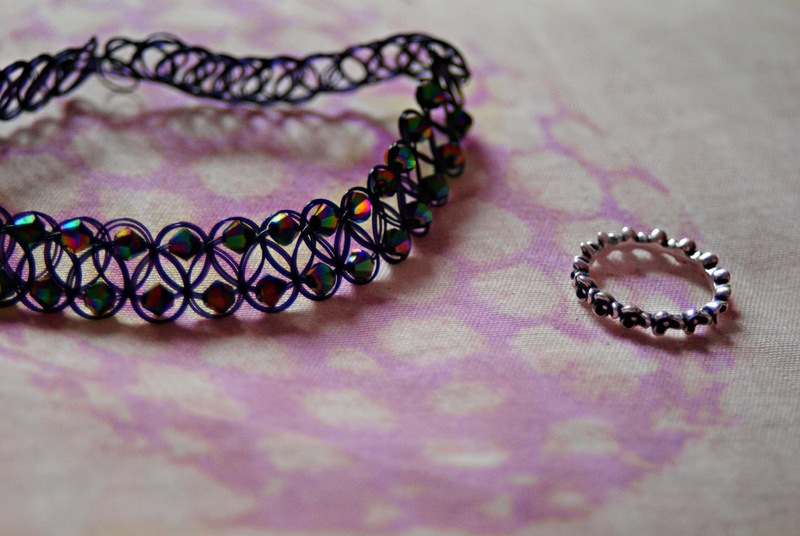 The choker necklace was an absolute steal as it literally cost me two pounds from eBay and it is gorgeous. I love it so much it is so pretty when it hits the light as the little beads change colour. I just love everything about this choker and have been wearing it pretty much nonstop. I have also been loving my ring which is from Pandora it is a cute little ring with flowers and I literally wear it every day but I thought I’d give it a little mention here on my blog as I love it so much it was a gift from my boyfriend for my birthday last year. 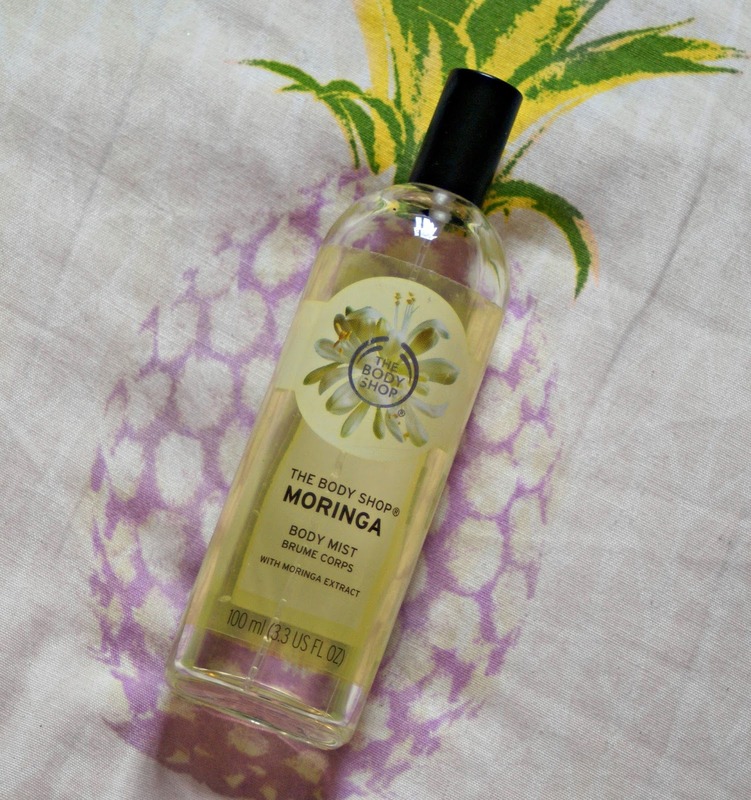 There are some fragrances I have been enjoying in August; these are the Moringa Body Mist by The Body Shop. 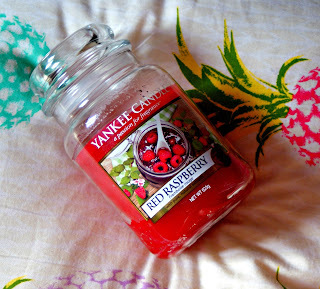 This is such a lovely floral fresh summer scent and this one has lived in my handbag for the past month. 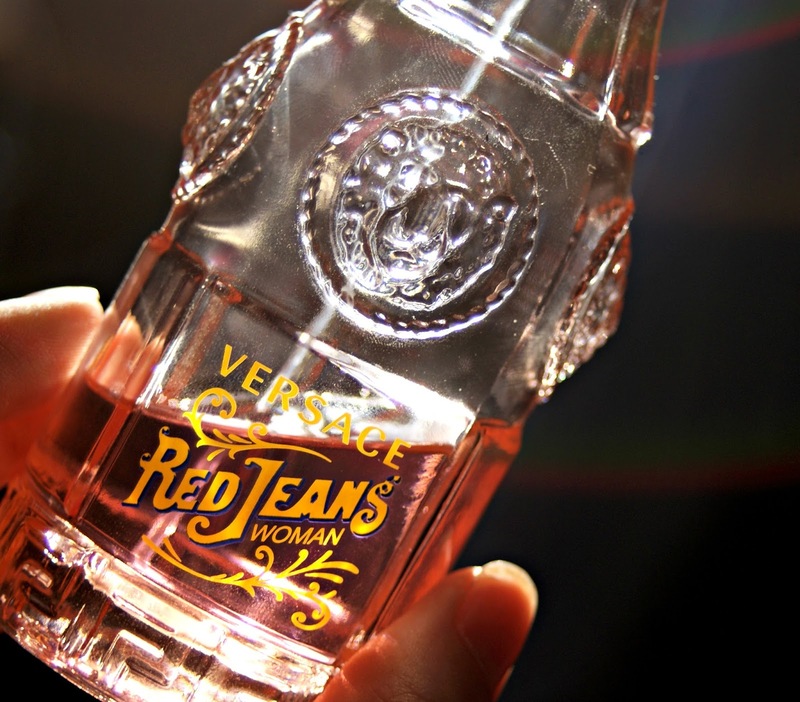 The second fragrance I have been loving is Versace Red Jeans this is a lovely fruity floral scent which is also perfect for the summer it is quite a sweet smell and is so affordable for such an amazing perfume. 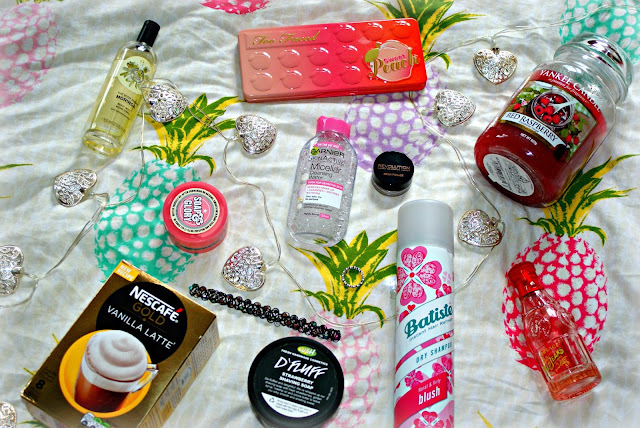 Next in my august favourites are some skin care items which have got me through the month. 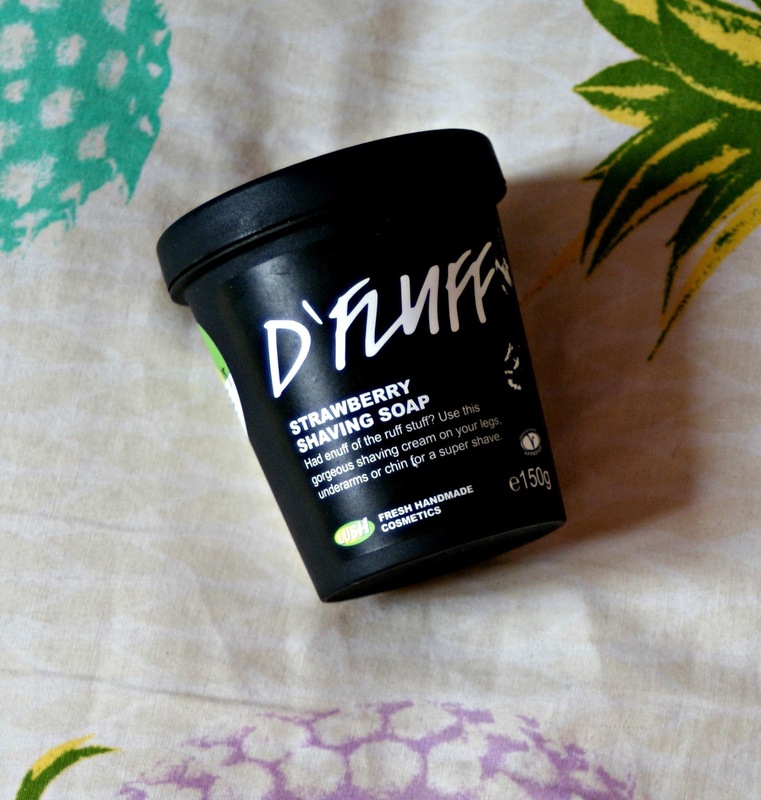 First up in this section is D’Fluff Strawberry Shaving Foam by Lush Cosmetics as someone who absolutely despises shaving this product has been a lifesaver it makes shaving my legs actually bearable which I never thought I would say. The shaving foam is packed with ingredients’ which work wonders for your skin but I think may favourite part is that it contains cocoa butter so it makes your legs feel so silky but also shaving my legs is such a smoother and pleasant experience with this product. 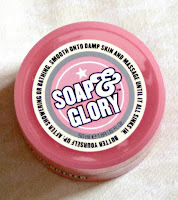 Next is The Righteous Butter by Soap & Glory I use this product after a shower and it leaves my skin so soft and silky I love it so much me and my mum have both been using this and she has very sensitive skin and it has been working great for her. 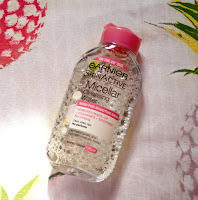 It is now a staple in our bathroom and if you haven’t tried it and are looking for a new moisturizer I would recommend this one as it is such a great product. Finally in this section is the Garnier Micellar Cleansing Water I love love love this product it makes taking of my makeup soo much easier. I’m not even sure how it does it but it is literally like a magnet when it comes to removing dirt and makeup from my face. 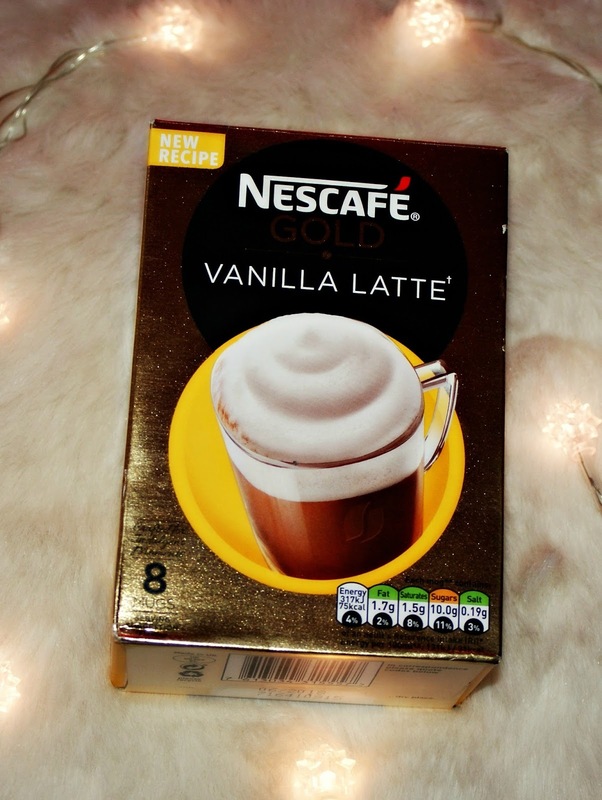 Next up is just a couple of random things that I have been loving in August. The first of my two random faves is the Red Raspberry Yankee Candle, I have been burning this for the whole month and I love the scent so much, It is perfect for summeras it is so sweet and fruity. I have also been loving the Nescafe Vanilla Latte's, I am not a massive coffee person I much prefer tea which is why I had to include these in this months favourites as it is very rare for me to find coffee I actually enjoy. The last thing in my favourites this month is the Batiste Dry Shampoo in the Blush scent. 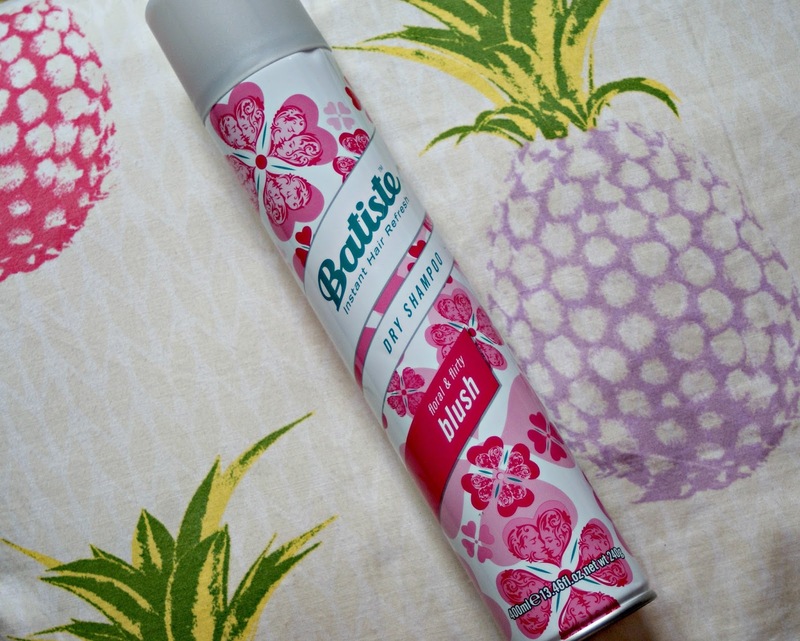 I love dry shampoo as it is amazing for when your hair just needs that bit of a revamp. 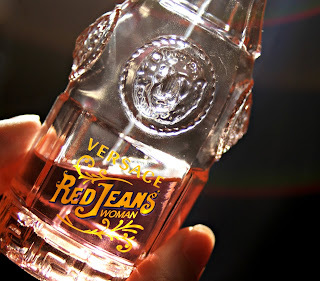 This one is so good and makes my hair look a million times better on days when it’s not looking its best. The scent is also lovely. I feel as dry shampoo is a basic item that everyone needs although this one is brill so if you need a new bottle maybe check this one out.